Product prices and availability are accurate as of 2019-04-19 11:13:12 EDT and are subject to change. Any price and availability information displayed on http://www.amazon.com/ at the time of purchase will apply to the purchase of this product. Item #: 82866R. AXIS M1054 network camera uses progressive scan technology providing full frame rate video in resolutions up to 1-megapixel including HDTV 720p. Multiple H.264 and Motion JPEG streams can be provided simultaneously individually optimized for different quality needs and bandwidth constraints. 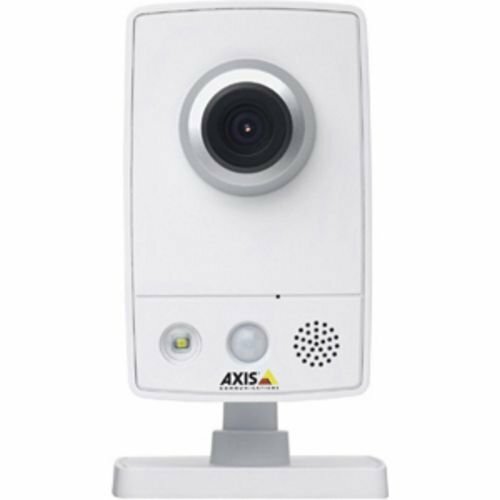 The AXIS M1054 features an integrated PIR sensor for detecting movement even in the dark, and a white LED for illuminating the scene at an event. It additionally supports I/O ports for connecting external devices. Designed for easy and flexible installation, AXIS M1054 can be powered either over Ethernet or by power supply. 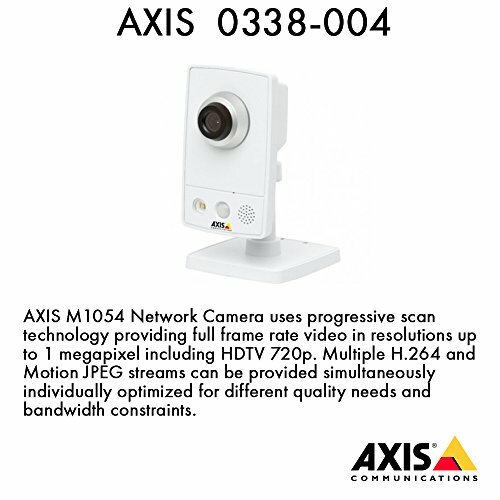 AXIS M1054 easily finds application in boutiques, restaurants, hotels and residences. Optical Sensor Type: CMOS - 1/4"